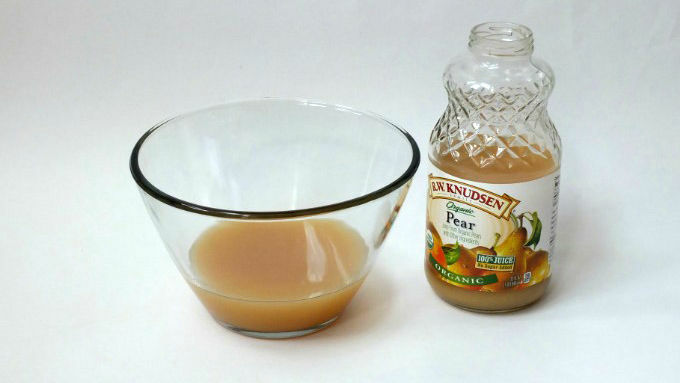 Pour pear juice into large punch bowl. 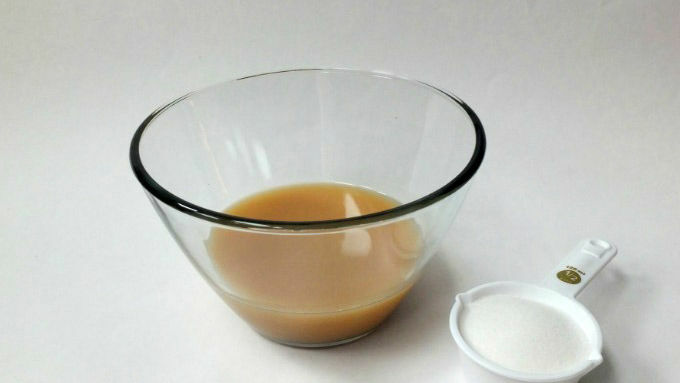 Mix in ginger ale and top with fresh sliced pear. Move over pumpkin spice, there’s a new drink in town. Autumn weather calls for soups, stews, casseroles and hearty celebrations. All of these rich and heavy foods need a refreshing drink to complement them. I have the perfect solution, using my favorite fruit of the season—pears. 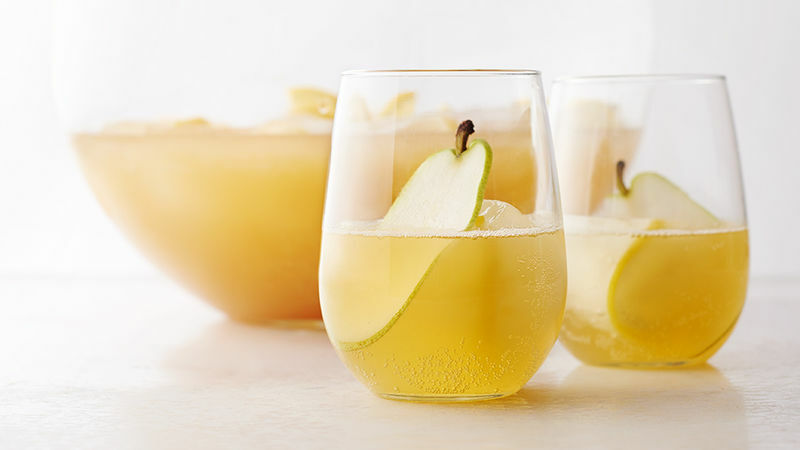 My Pear Tree Punch is one of my favorite go-to drink recipes. Sparkling and light, it bubbles with fresh pears and juice. It’s such a nice break from the traditional “apples and cinnamon” or “pumpkin spice” craze. A pear-flavored drink is a pleasant surprise—I constantly have people saying, “I would never have thought to use pears in a drink, but it’s just perfect!” This drink is super easy to make, taking just minutes and a few ingredients. Really, it’s incredibly simple, so pretty—and everyone will be impressed. 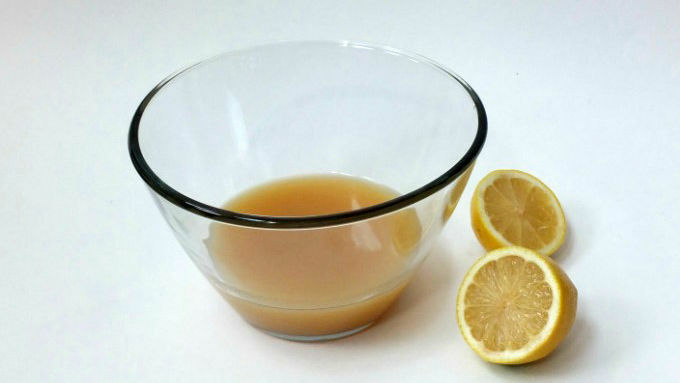 To make it, gather some pear juice, ginger ale, lemon, fresh pear and a little sugar. (Or a lot depending on how big your sweet tooth is!) Top with a freshly sliced pear. 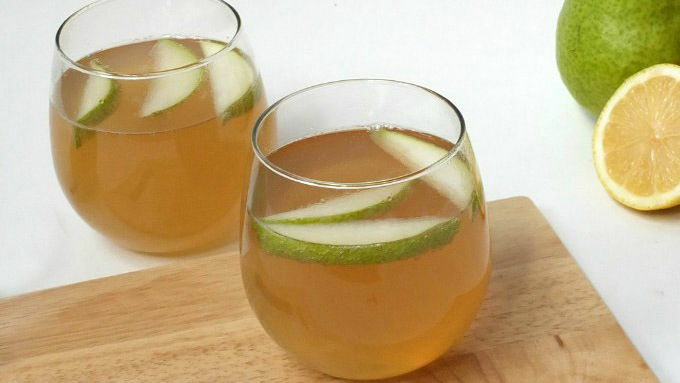 Super pretty and so refreshing, this will soon become your favorite fall drink!